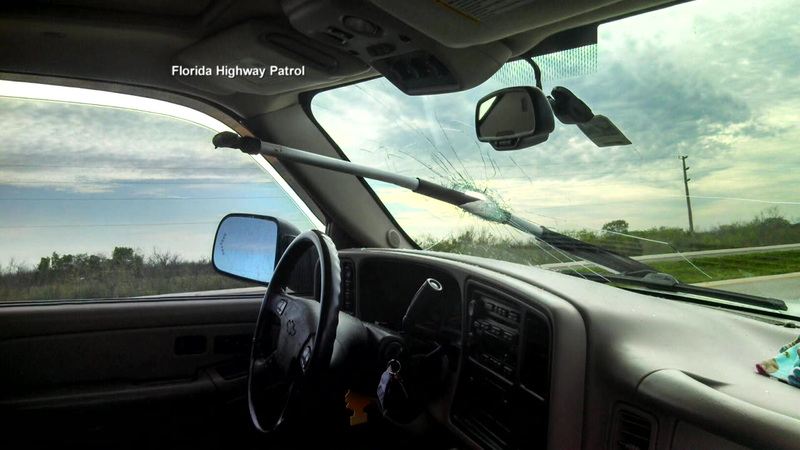 BROWARD COUNTY, FL (KTRK) -- A Florida woman came face to face with an oar that flew off of a boat being towed in front of her in on the interstate, police say. 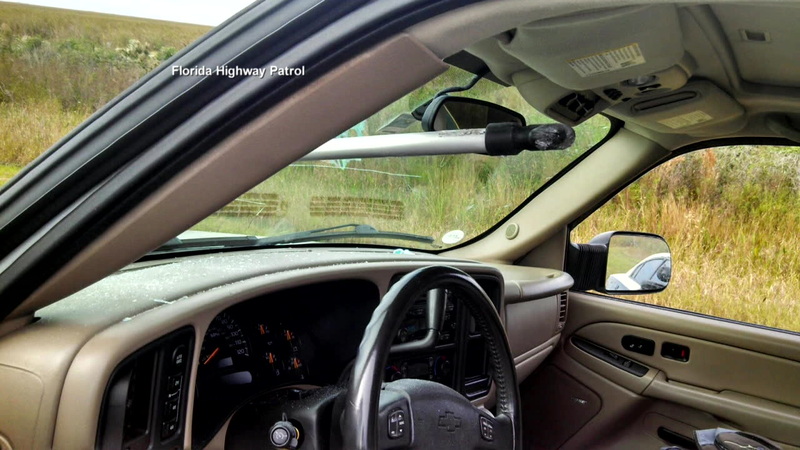 Christina Kay Thiesen, 33, told troopers that she was driving down I-75 when the unsecured oar flew off of the boat, which was being towed behind a slow-moving motor home. 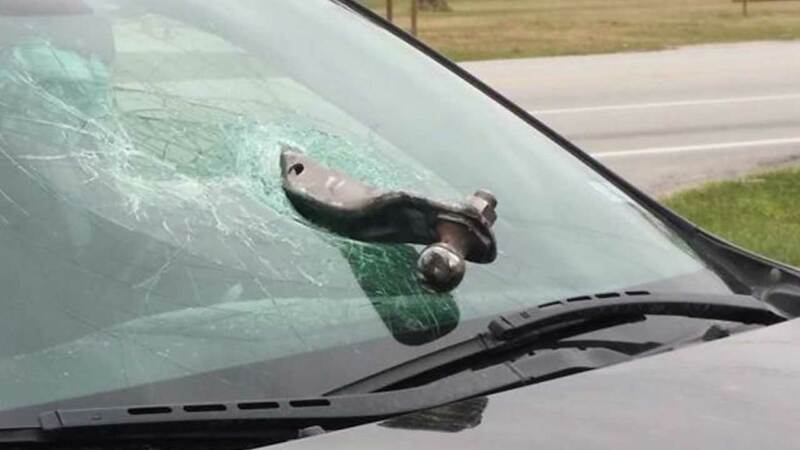 Imagine this comes flying at you while you're driving? It happened to one woman in southwest Houston. 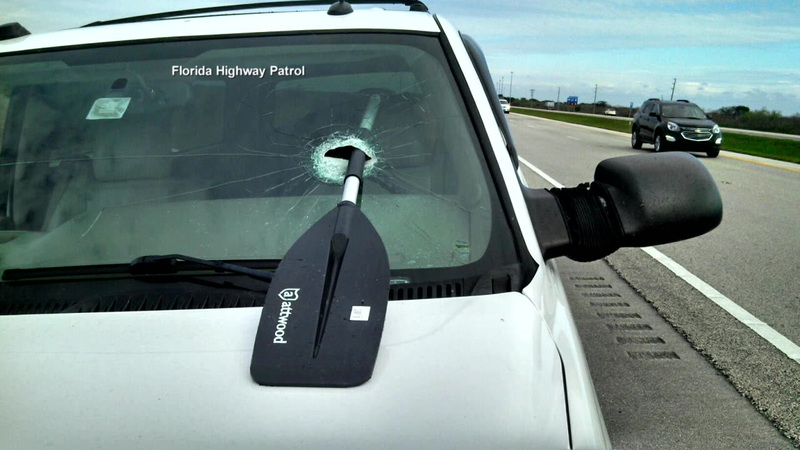 Fortunately, she was able to duck, and the oar, which came crashing through her windshield, barely missed hitting her. 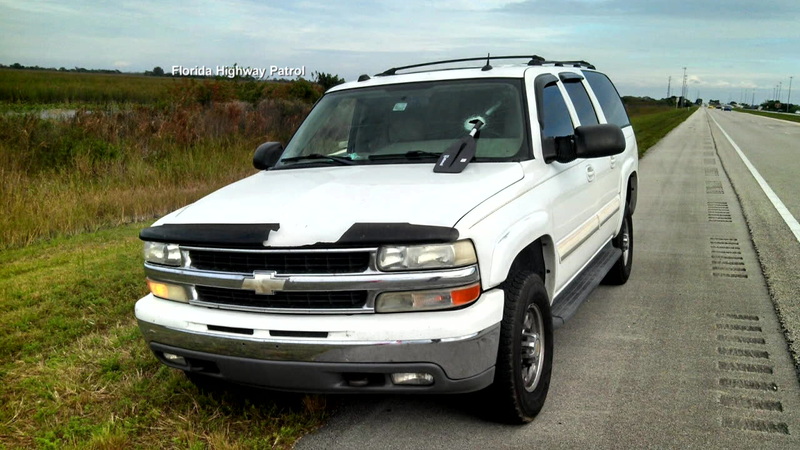 An uninjured Thisen pulled over, but the motor home kept on driving.